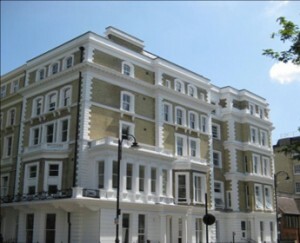 Developed in London’s prestigious Kensington neighborhood, 74-76 Courtfield Gardens is a 106-bed student accommodation property. At the time of acquisition, the property was operating as a hotel, and was suffering from considerable deferred maintenance. TJAC completed a thorough renovation and retrofit of the property including a restoration of the historical building façade and mansard roofing system, and the construction of modern living quarters and state-of-the-art academic facilities. The finished product includes a total of 50 twin rooms, each with individual bathrooms; shared kitchens and common dining areas on every level. Additional amenities include computer operated laundry facilities; separate storage facilities for student luggage and equipment, as well as building-wide WiFi.